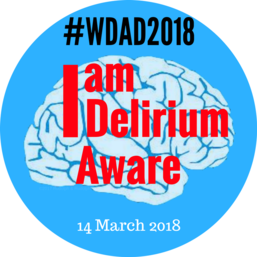 Point prevalence of delirium has not been done in UK hospitals before, and should lead to publication in a high impact paper. If you’re interested in getting involved or would like to know more then contact Carly Welch directly gemresearch.uk@gmail.com. To register your site click on the website link above.